The Insurance Act 2015 came into effect on 12/08/2016. Please see our guide to how it affects you. The Insurance Act 2015 came into effect on 12/08/2016. This is an important piece of legislation and is the most fundamental change to insurance law for over 100 years. We have created a client guide to outline and demonstrate how this piece of legislation affects you. If you have any queries or questions, or if you would like to discuss any aspect of this, please contact our office. The Insurance Act 2015 will apply to all business insurance policies which are entered into, renewed or amended after 12 August 2016. The intention of this new Act is to modernise insurance law and aims to provide clarity and fairness when dealing with your insurer, particularly when making a claim. In reality, the changes that are brought about by this Act, are mainly those which bring clarity and more balance to the relationship between the policyholder and the insurer. There are obligations which are placed upon your insurer, which regulates their conduct in the event of claim. However, these benefits are dependent on you making a ‘fair presentation of risk’. This is a subtle but fundamental shift of emphasis in the new legislation. What are your obligations as a purchaser of insurance? As a purchaser of insurance, it remains your responsibility to demonstrate good faith and ensure the disclosure of any material information, and it’s accuracy. Information held by relevant internal/external parties (such as your consultants, contractors, accountant, insurance broker, solicitor etc) and anyone insured by the policy. This addresses the clarity of presentation and how able insurers are to assess the risk. ‘Data Dumping’ of large amounts of information without signposting is unacceptable. It also includes adequately highlighting unusual business activities and/or areas of concern that could affect the insurer’s assessment or acceptance of the risk. From 12th August 2016, you will be required to ensure that your procedures for purchasing insurance are compliant with the Act. ➡ Who counts as ‘senior management’? ➡ Who is responsible for insurance within your business? ➡ Who else has relevant information (whether internal or external)? How do you demonstrate that you have run reasonable searches? Start the process early enough to accommodate the additional checks required and to ensure that all information is presented clearly. Engage with Vision Insurance Services Ltd and/or your insurer as assistance can be provided to help you understand your obligations. If you are unsure that all material information has been disclosed, please discuss this with Vision Insurance Services Ltd or your insurer. If put on alert, your insurer will make further enquiries to help you to meet your disclosure obligations. What happens if you don’t make a fair presentation? Depending on the circumstances, premiums may not be returned. Would you like to discuss this with us? 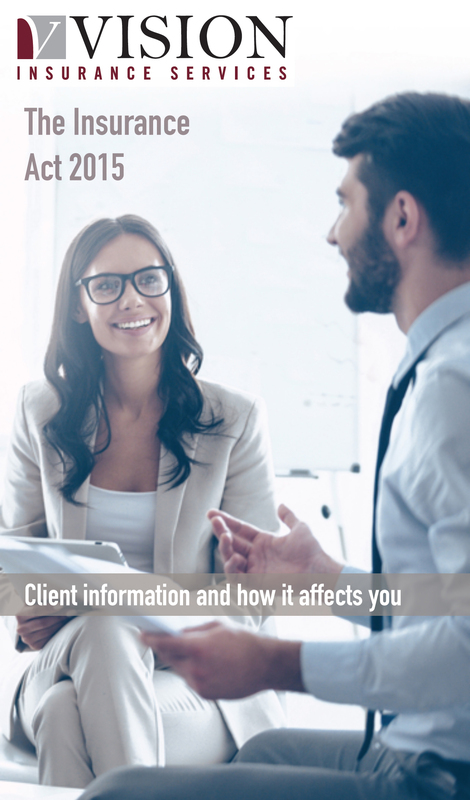 If you have any questions regarding The Insurance Act 2015, please contact your Client Manager. You can reach on the number listed above. This note is not intended to give you legal advice. We are providing this as guidance for your insurance placement(s). Where you need further legal information regarding the operation of the Act, we recommend that you seek specific legal guidance. Vision Insurance Services Ltd accepts no liability for any inaccuracy, omission or mistake in this note, nor will we be responsible for any loss that may be suffered as a result of any person or organisation relying on the information therein. 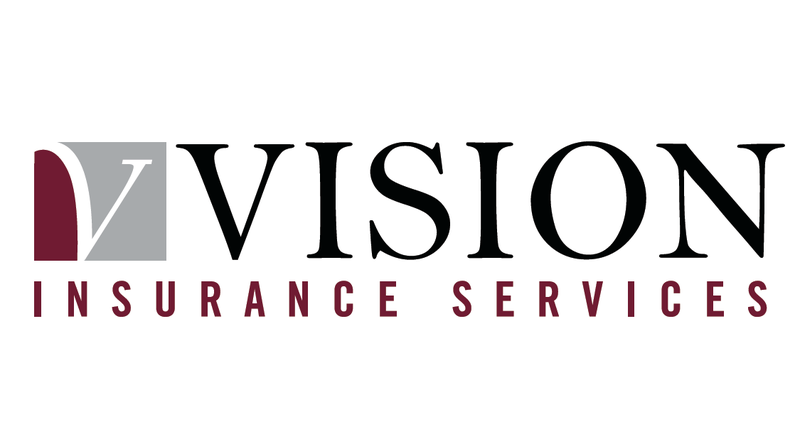 Vision Insurance Services Ltd is authorised and regulated by the Financial Conduct Authority (Registration Number. 512500). Registered Office: Ashcombe Court, Woolsack Way, Godalming, Surrey, GU7 1LQ. Company No. 07037484.